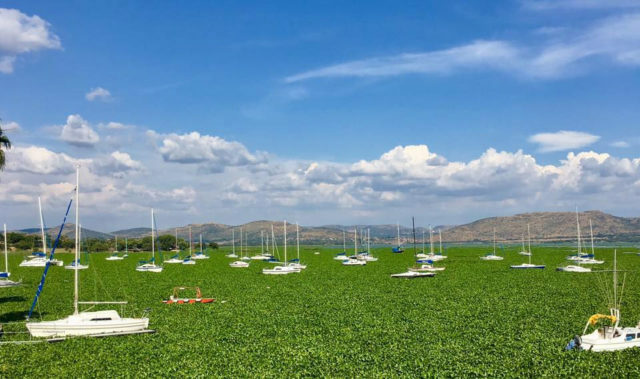 Coca-Cola has invested R25 million in Hya Matla Organics – a startup which turns water hyacinth into commercial products like fertiliser and animal feed. The investment was made through the Mintirho Foundation, which is owned by Coca-Cola Beverages South Africa. Water hyacinth, known as the world’s worst water weed, is an invasive plant that grows in polluted water and further compromises water quality. Hya Matla Organics executive director John Kondowe said by harvesting hyacinth and turning it into organic fertilizer, they “complete the cycle of turning the pollutants into nutrients”. 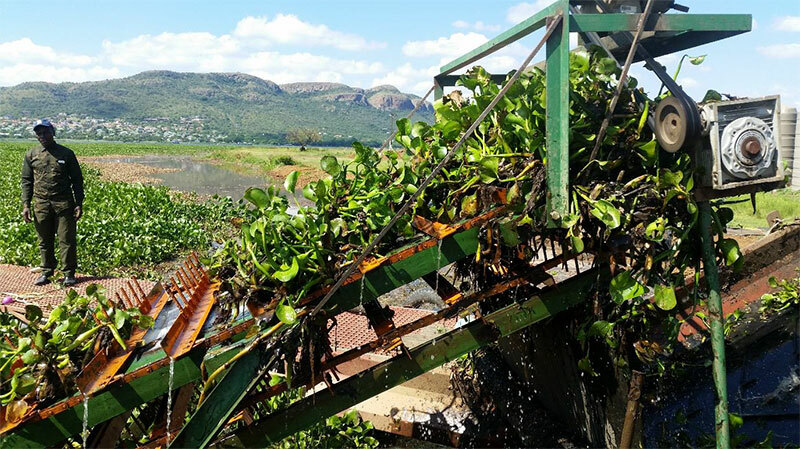 The project is currently being implemented in Hartbeespoort Dam near Pretoria, one of the most severely-affected by water hyacinth growth. 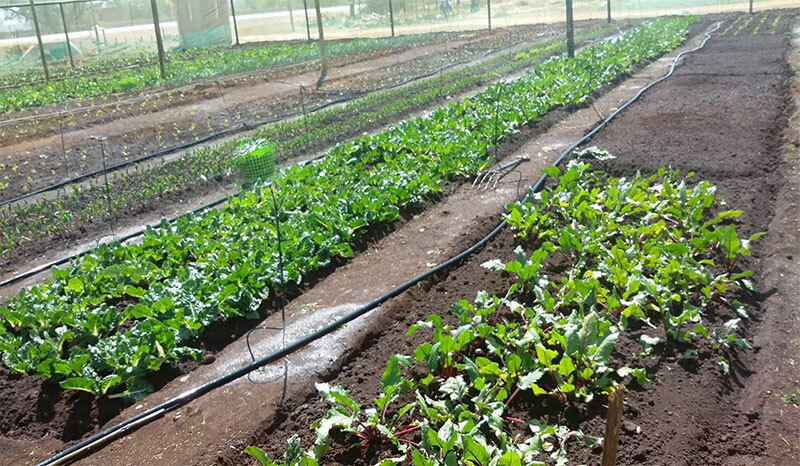 Mintirho Foundation executive manager Noxolo Kahlana said Hya Matla Organics’s business model to remove waste from catchment areas and preserve water caught their eye. “Supporting initiatives aimed at cleaning our water catchment areas are critical, and something that we are committed to advancing,” Kahlana said. Hya Matla Organics has developed the technology which enables the production of organic fertilizers from the invasive water hyacinth plants at industrial scale. 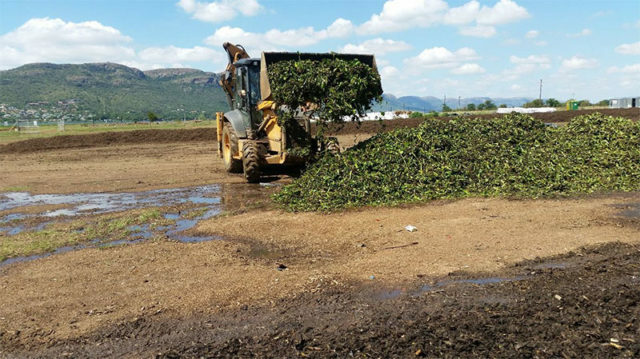 The images below show how Hya Matla Organics turns hyacinth at Hartbeespoort Dam into commercial products like fertiliser. 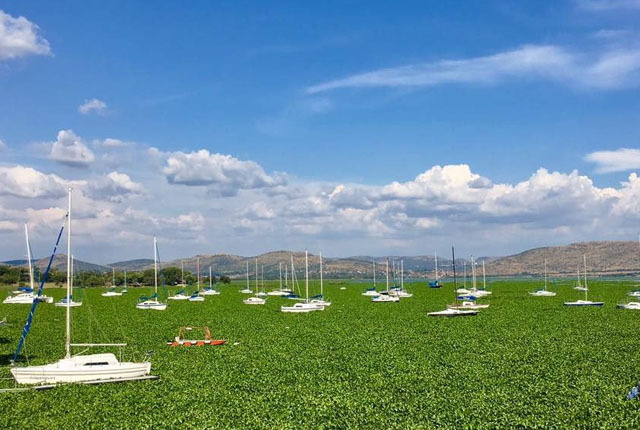 Hyacinth is a major problem at Hartbeespoort Dam and is wrecking the environment and the town’s appeal. Invasive hyacinth plants are harvested at Hartbeespoort Dam using specialised equipment. 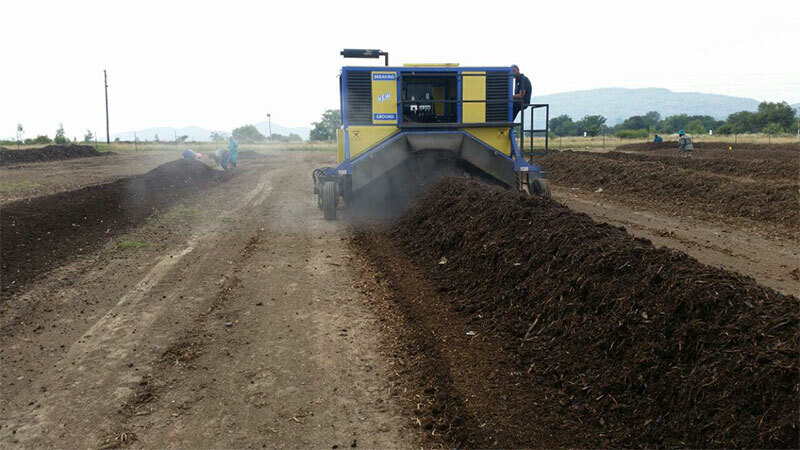 Organic matter is turned into nutrients. The newly-produced fertiliser is used to create agricultural land. 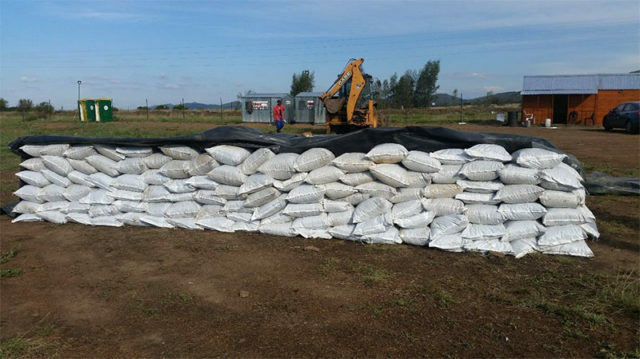 The newly-produced fertiliser in bags which can be sold. 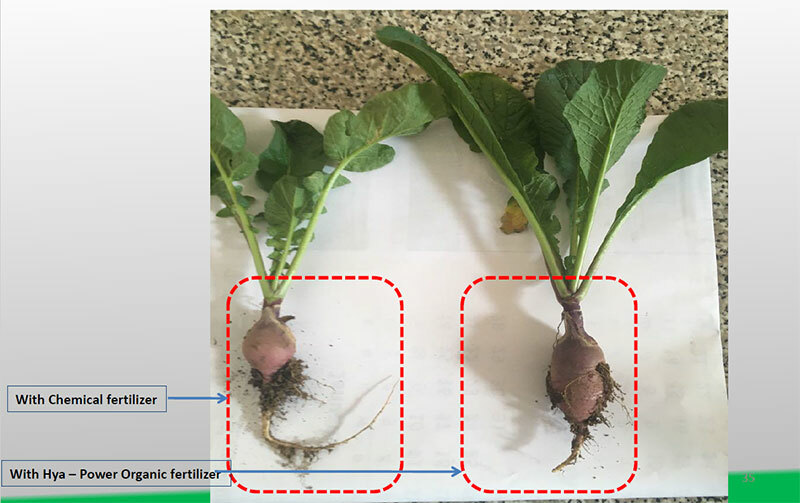 The final result – Vegetables are grown using Hya Power fertiliser.